I use Rose Oil year round, but in winter I’m especially devoted. I pat on a few drops of oil before my moisturizer both morning and night to help combat the season’s dry air. You can also dab it on top of make-up to hydrate for a radiant finish. 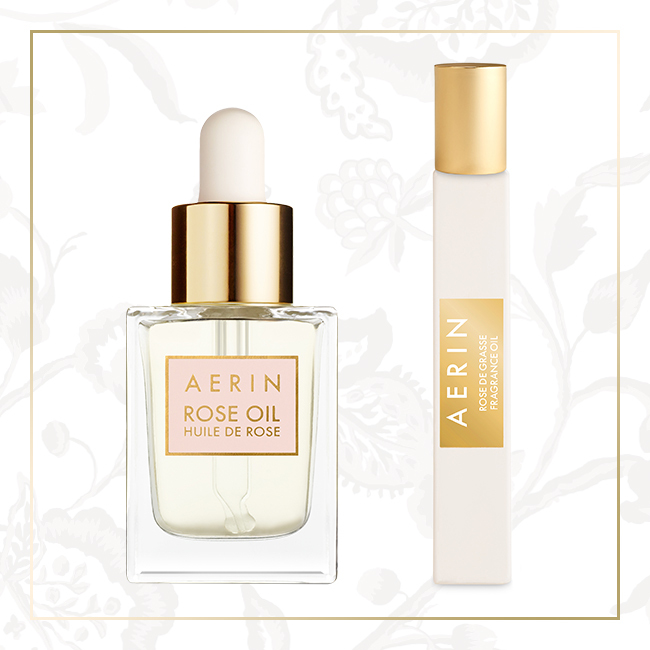 We’ve just added Rose de Grasse Oil to the AERIN beauty collection. It glides over pulse points and décolletage and softens skin as it scents with hundred-petaled Rose Centifolia, Rose Otto Bulgarian, Rose Absolute, and warming Musk. The complete Rose Collection has been developed to refine and nourish skin as part of your beauty routine.